Introduction: Following the loss of Jon Santarelli during the 110th running of the Race to Mackinac in July 2018, the Chicago Yacht Club appointed a Committee with a broad range of experience to review the incident in order to make recommendations regarding the lessons that may be learned from it. The objective of this inquiry is to reduce the chance of similar accidents by thoroughly reviewing the events and examining the use of safety equipment. The recommendations following this review have been developed by the Committee based on its assessment of the events and are designed to enhance safety in the sport. The Committee notes there was some variation in the crew’s recollection of events likely due to their varying positions and activities at the time. 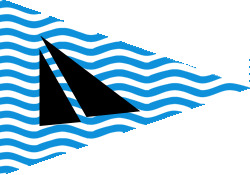 The Committee wishes to thank the Chicago Yacht Club for its support in implementing the review and also to thank those who provided the information on which this report is based, including eleven of the Imedi crew who offered both written reports and interviews describing their impressions of what happened. In addition, the Club wishes to thank all members of the Committee for their time, effort, and dedication in undertaking this vital task for the sailing community. The Committee’s detailed report follows. Brief overview: Essential elements of the incident. All times are Central Daylight Time. On July 21, 2018, at approximately 14:26 CDT, Jon Santarelli, slipped overboard from the cockpit of the TP 52, Imedi, as she sailed northeast from the 14:00 start of the Race to Mackinac. The Imedi crew immediately tacked and circled back to Jon’s position in the water, never losing visual track of him, but were unable to stop the boat close enough to retrieve Jon, due to the 20-25 knot winds and 6-8’ seas. They circled again and came closer to Jon on the second attempt, this time with the engine running, but just as they got close to Jon, a wave forced the boat up and over Jon and he went under the boat from starboard to port. Imedi circled a third time, and this time they were able to stop the boat very close to Jon, but as they tossed Jon a line and he raised his arms, he sank below the water and was not seen again. His life jacket, which was reported as set for automatic inflation, never inflated and he was never seen to try to manually inflate it. In the subsequent search, Imedi was joined by the Coast Guard, CFD, CPD, three helicopters, several other power boats and eight Race to Mackinac entrants who had stopped racing to help search. The search was called off at 4 dark, after five hours with no results. A week later, on July 28th, Jon’s body was found floating 4 nautical miles east of the Chicago Harbor Entrance. Chicago Yacht Club assembled a Committee of local and national sailors to review the incident, in an attempt to understand it and make offshore racing safer. This report is a result of that Committee’s efforts. The report begins by setting forth the background with respect to the race, the weather conditions, the boat, and the crew, followed by a detailed description of what occurred. It concludes with recommendations regarding the lessons learned from the incident. The appendices include more details and supporting information. Lessons to be Learned: As a result of the Committee’s investigation, it became clear that there are lessons to be learned from this incident with respect to malfunctioning personal safety gear, use of additional safety equipment on board, and vessel control under challenging conditions. Safety Issues to be examined in this report include: 1. Command structure effecting clear and timely communications during an onboard crisis 2. Safety gear functionality and crew understanding of its use 3. COB recovery routines practiced for specific vessel and expected conditions 4. Adequate training for effective response by a person in the water.